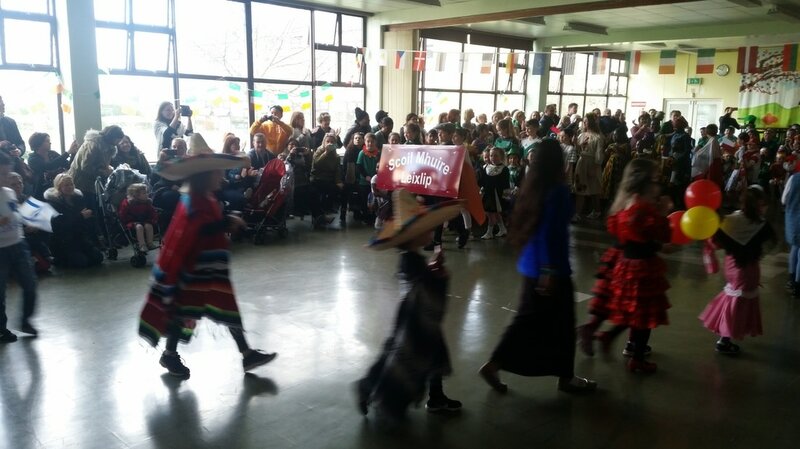 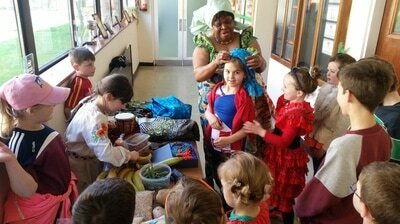 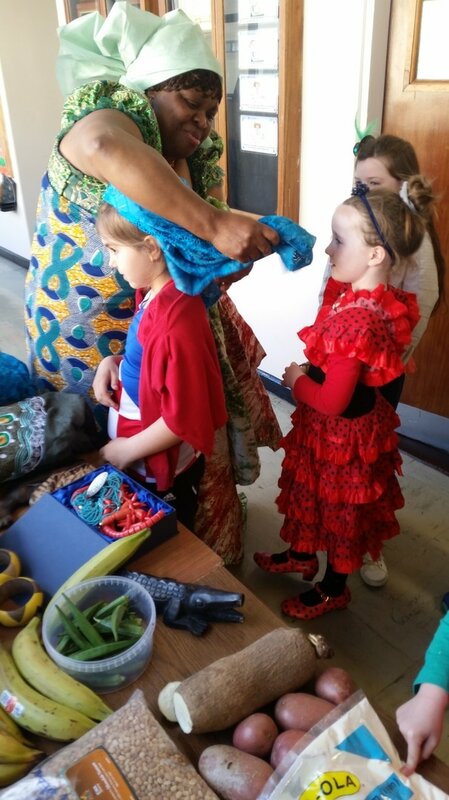 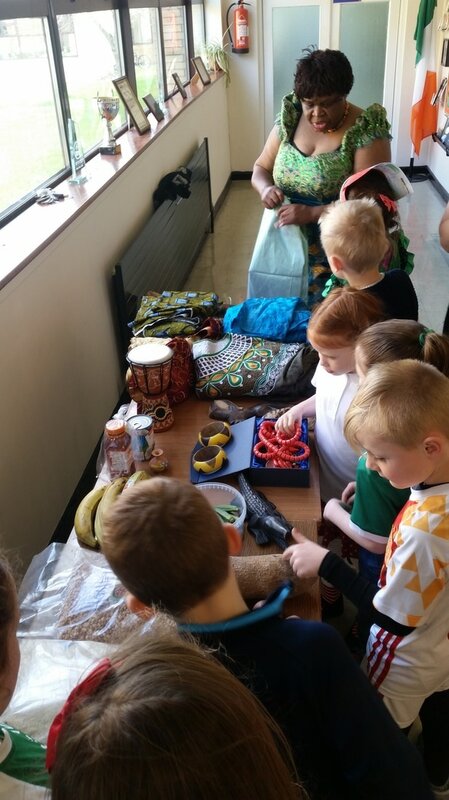 For Inter cultural week we learned all about Mexico. 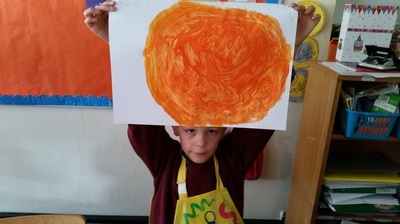 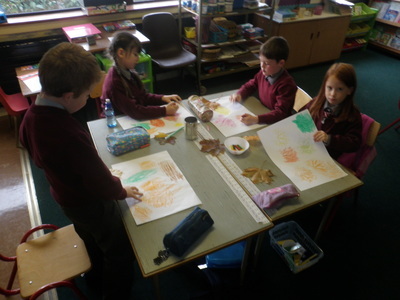 We learned all about the flag, the food, the music and the weather in Mexico. 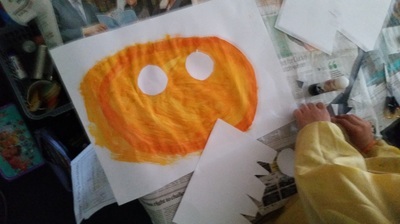 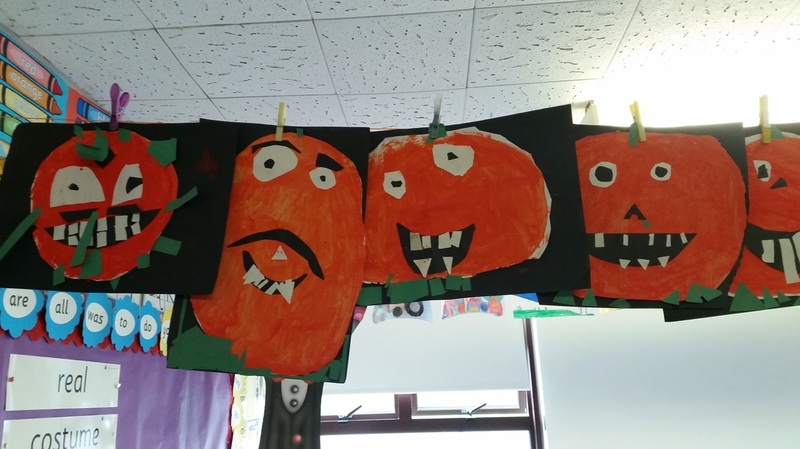 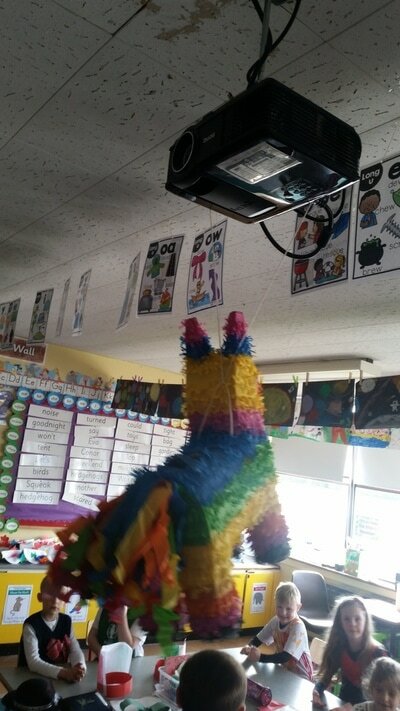 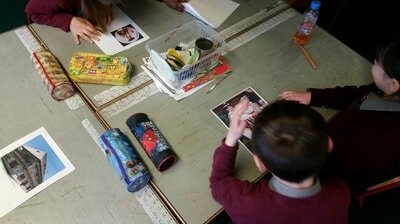 We sang the song La Cucharacha and we also had a Mexican Fiesta in the classroom. 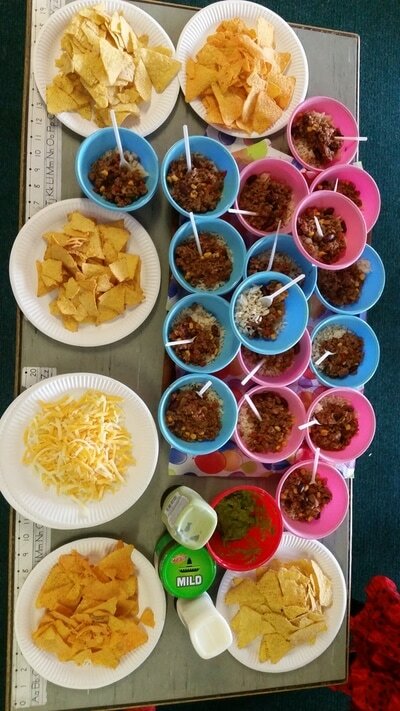 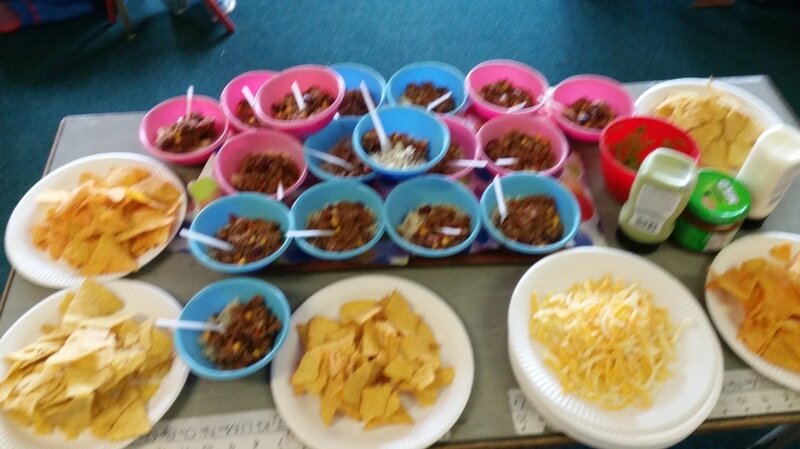 Ms O'Connor cooked a Chilli for us and we had nachos and dips too! 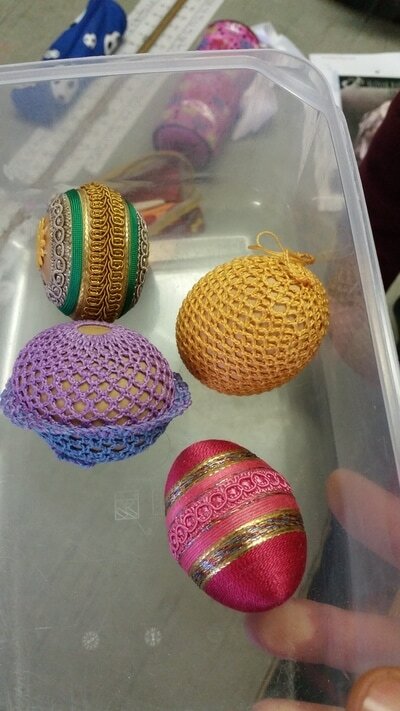 We even tried to hit a Piniata full of sweets! 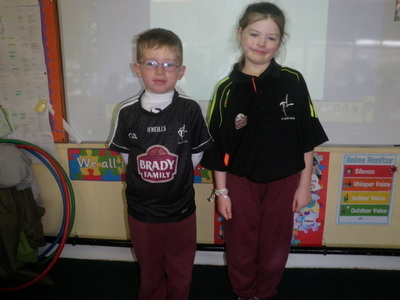 Dominick and Olivers' Mam also came into our class to tell us all about Slovakia. 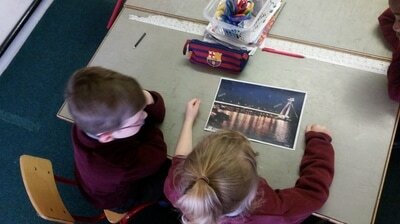 She told us about the flag, the capital city Bratislava and lots more. 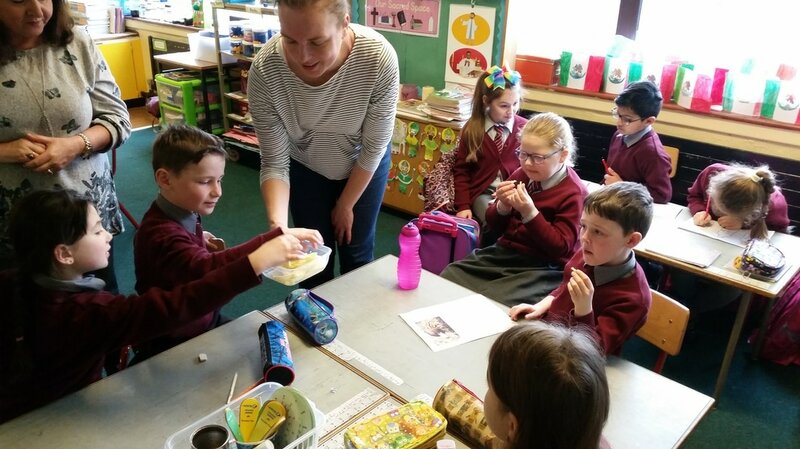 She brought in some delicious cheese for us to taste, some very pretty Easter eggs and lots of photos of Slovakia, the mountains, caves and wild animals. 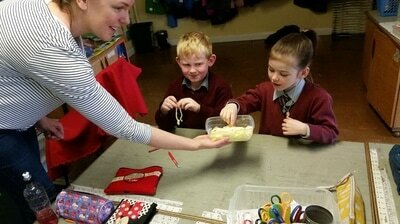 She even showed us how to make a fortune teller. 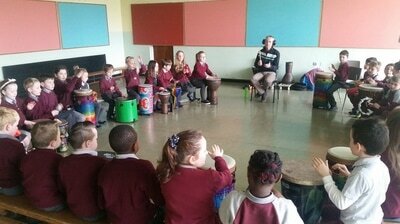 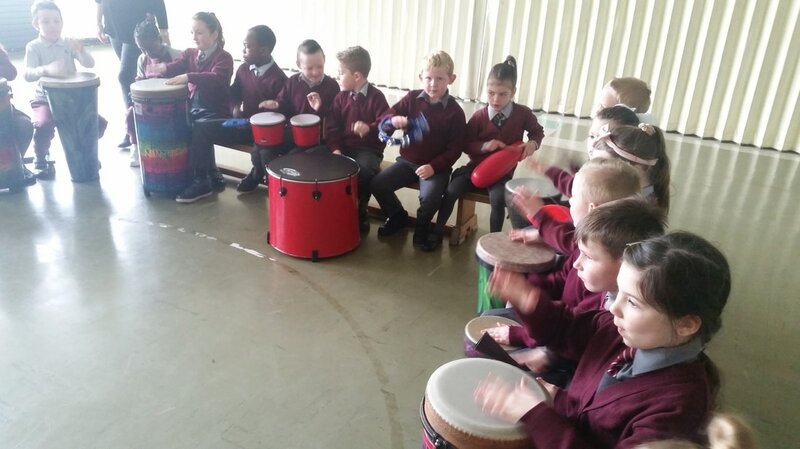 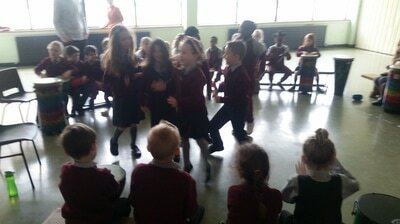 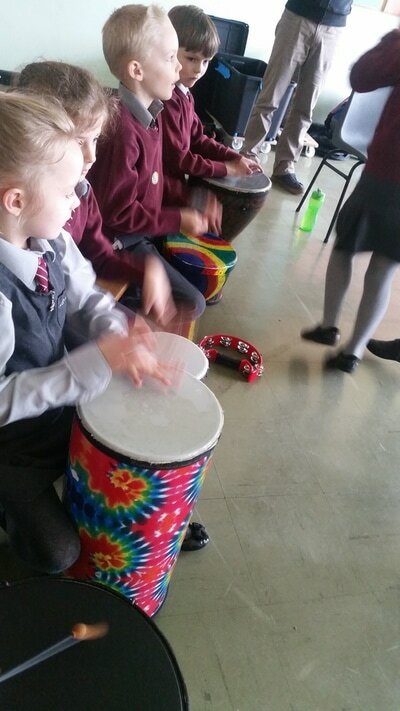 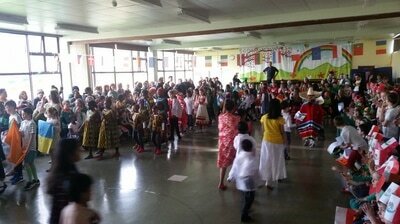 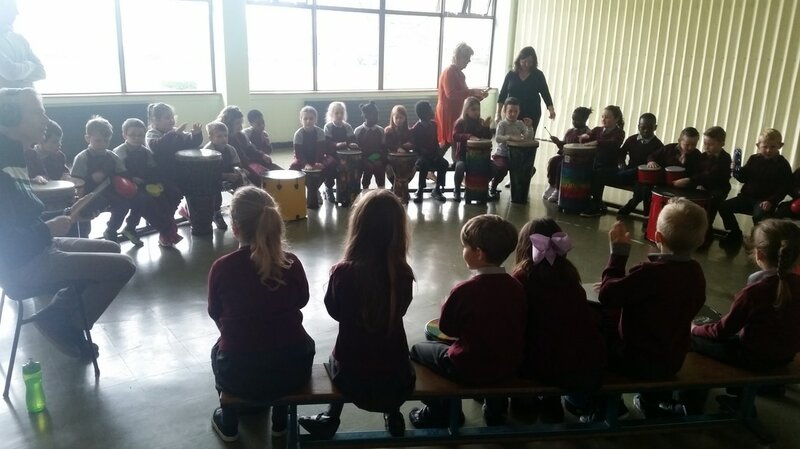 As part of Intercultural Week we took part in a drumming workshop. 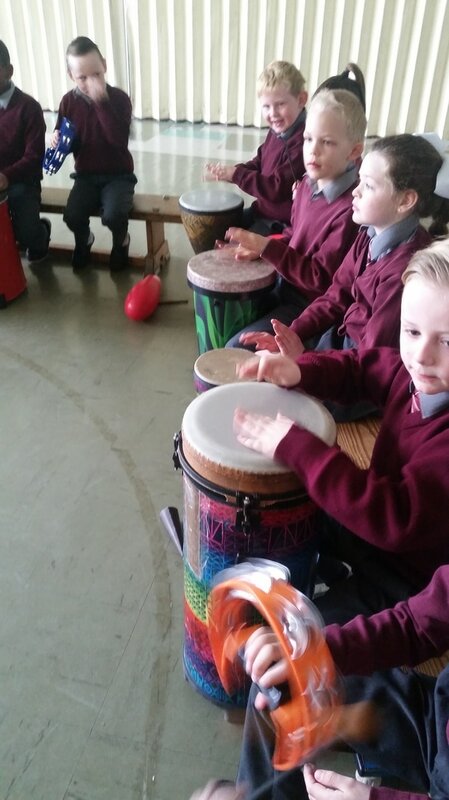 We played lots of percussion instruments and composed many different rhythms. 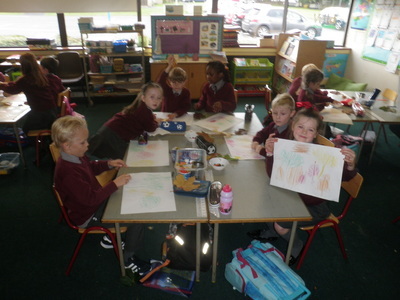 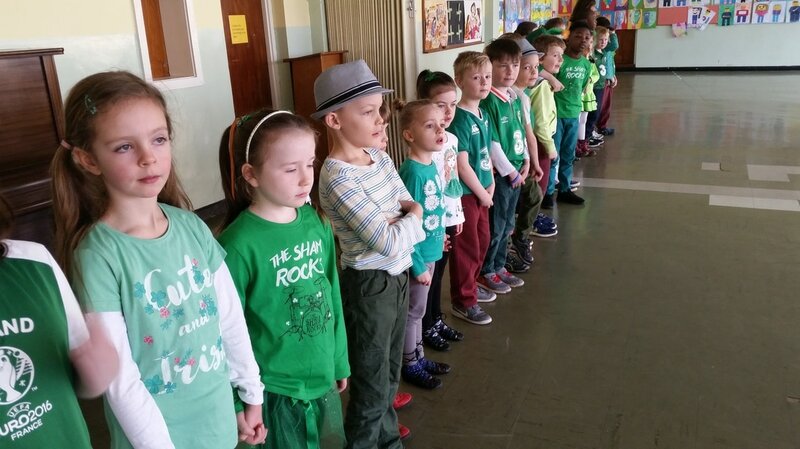 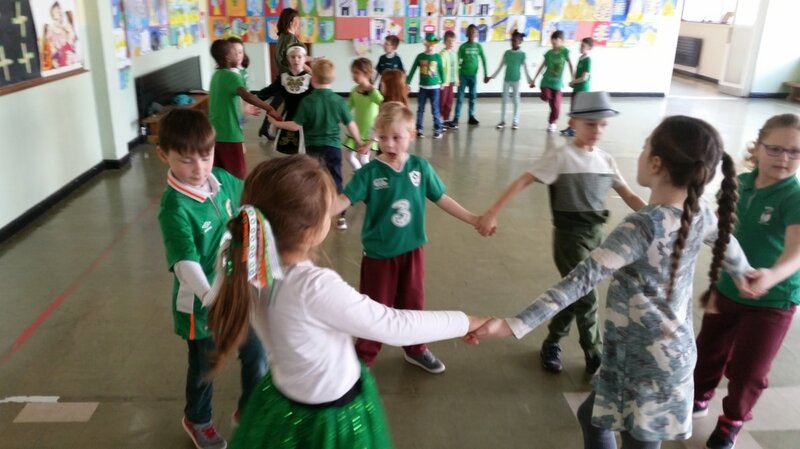 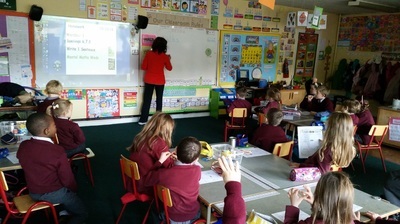 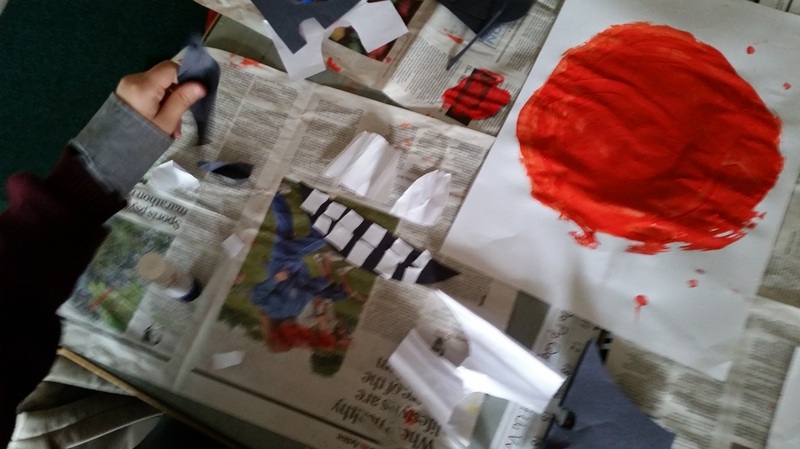 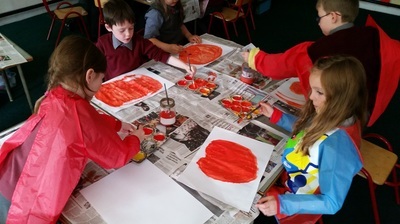 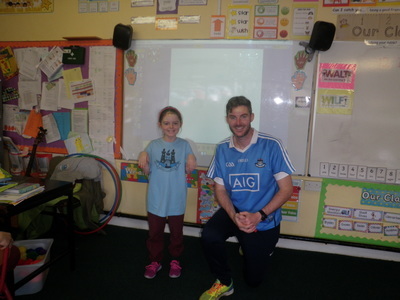 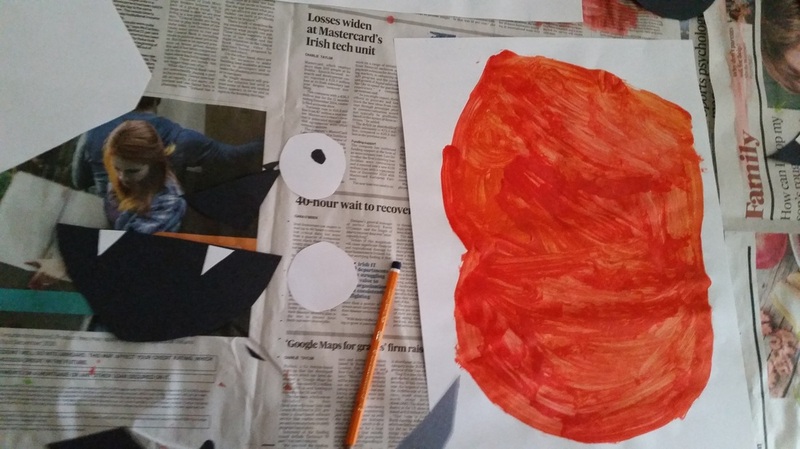 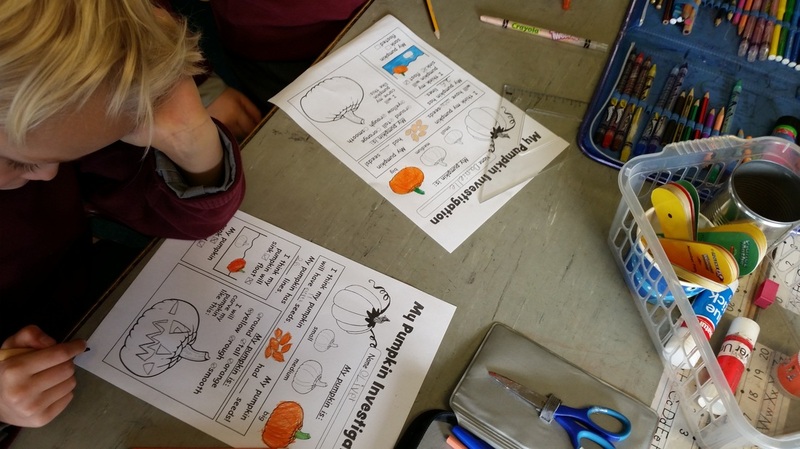 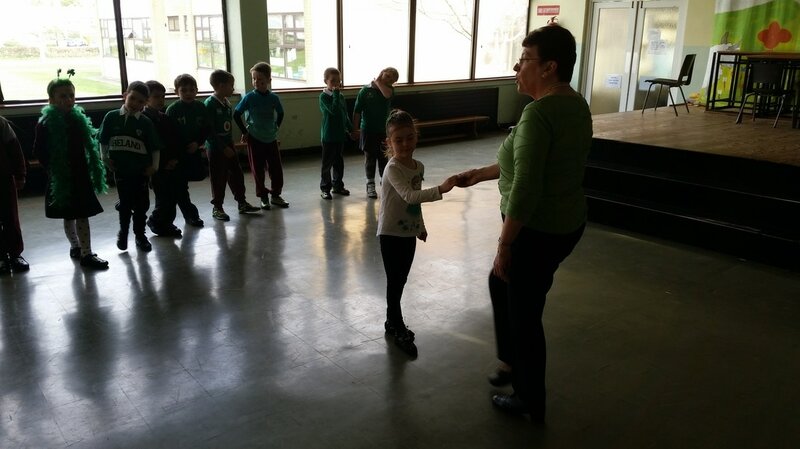 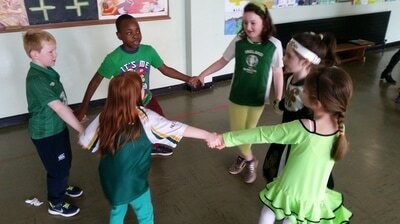 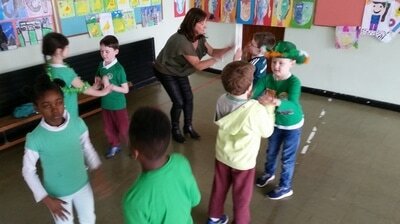 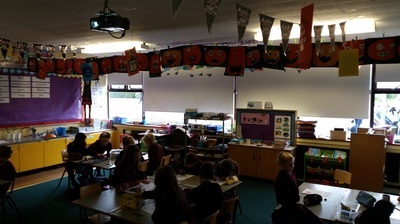 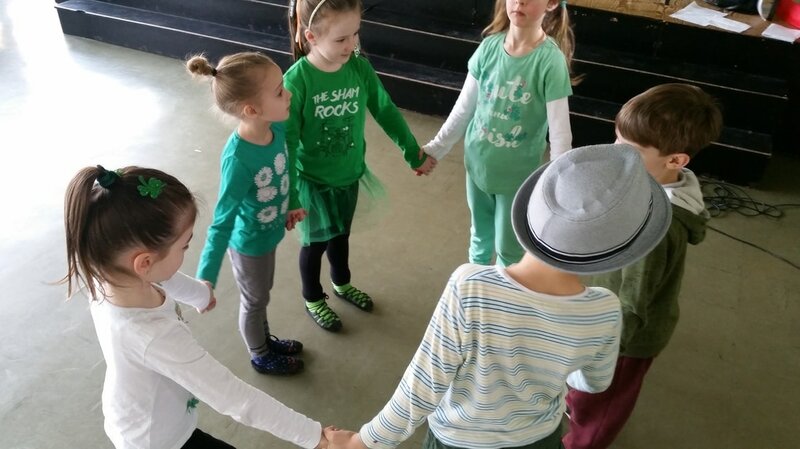 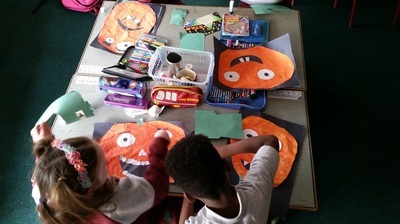 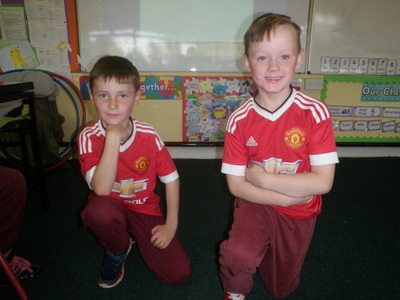 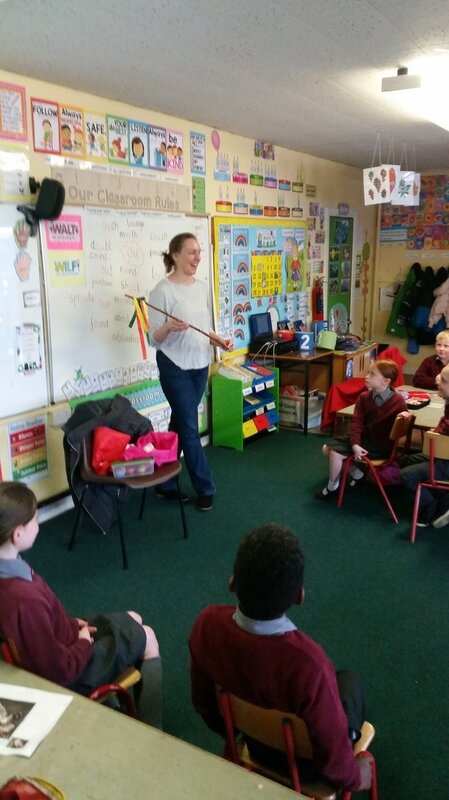 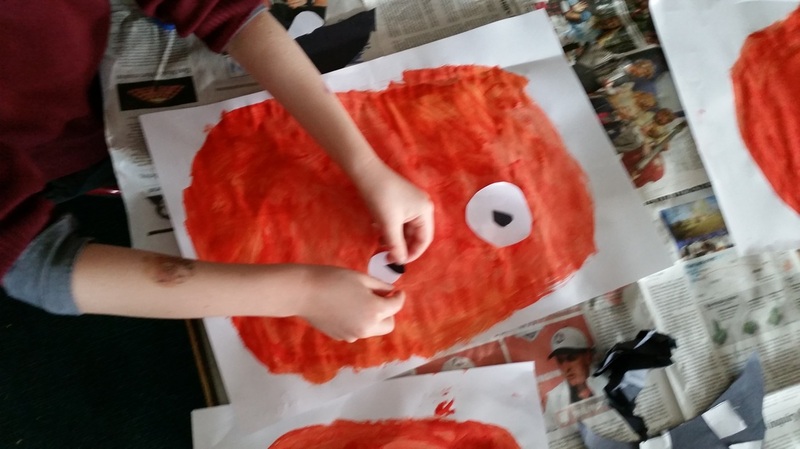 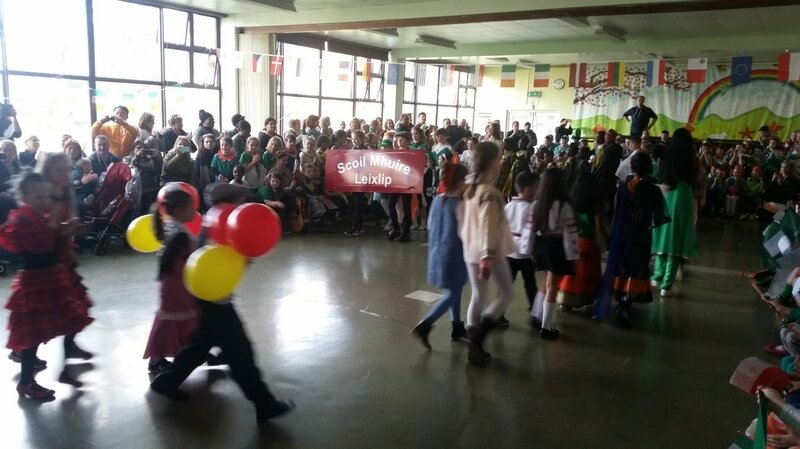 For Seachtain na Gaeilge we learned some new Irish songs, we tried to speak as much Gaeilge as possible throughout the 2 weeks and we learned some Irish dancing. Here we are in September out for a nature walk. 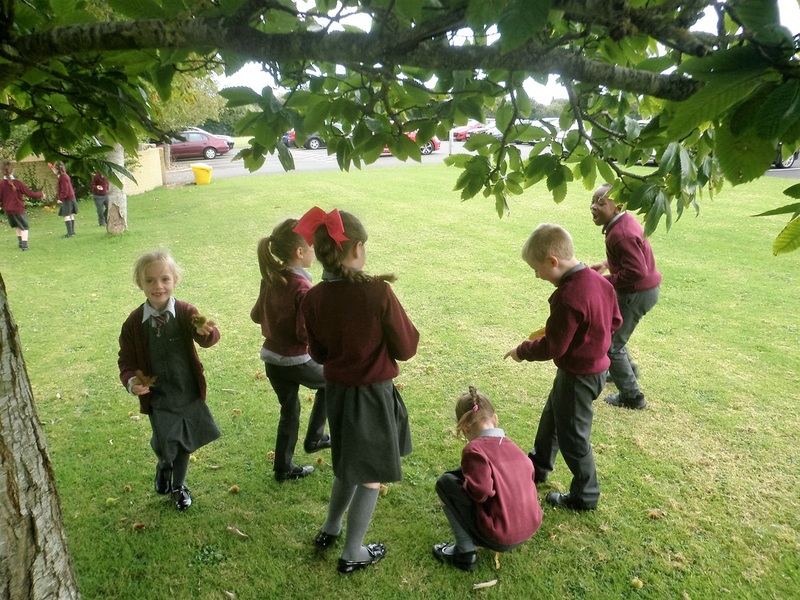 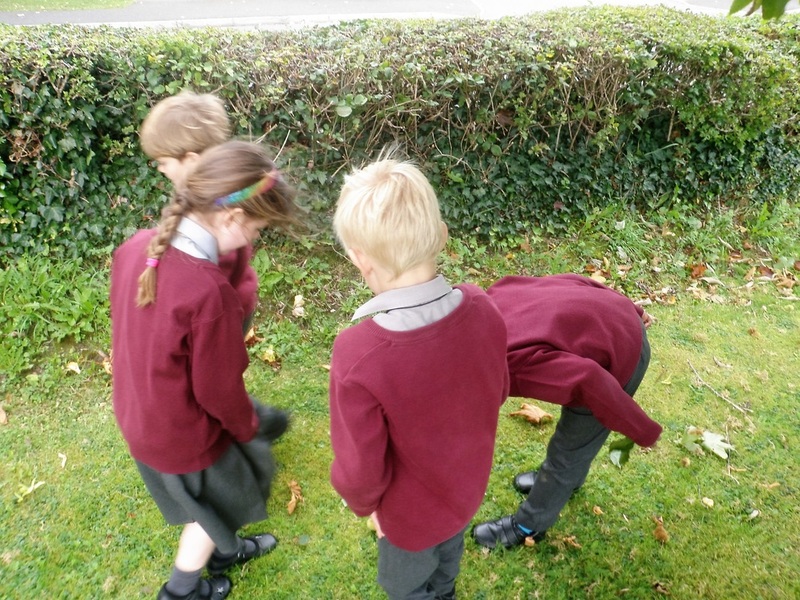 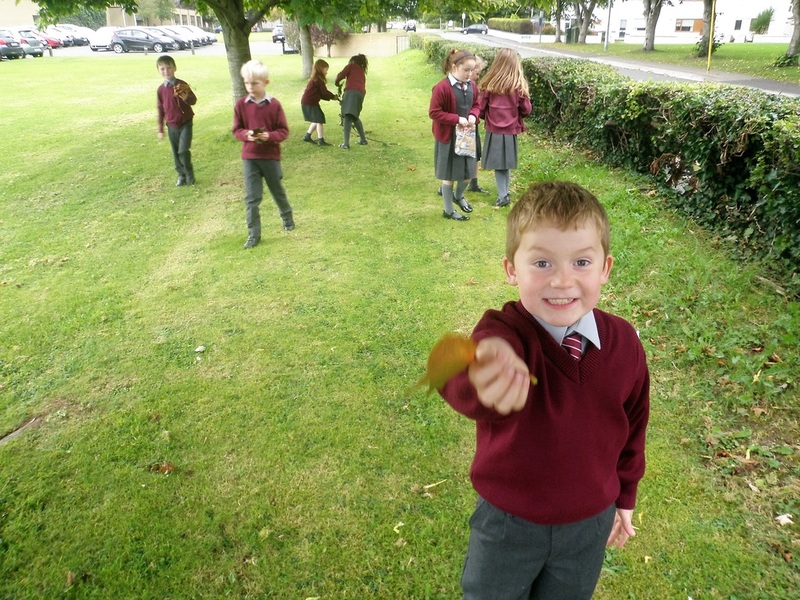 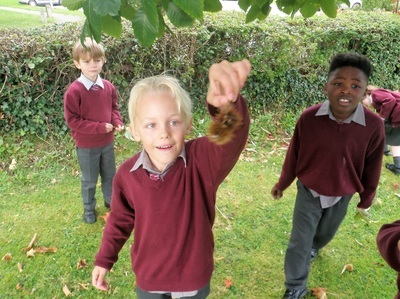 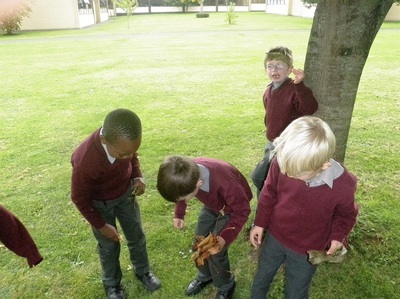 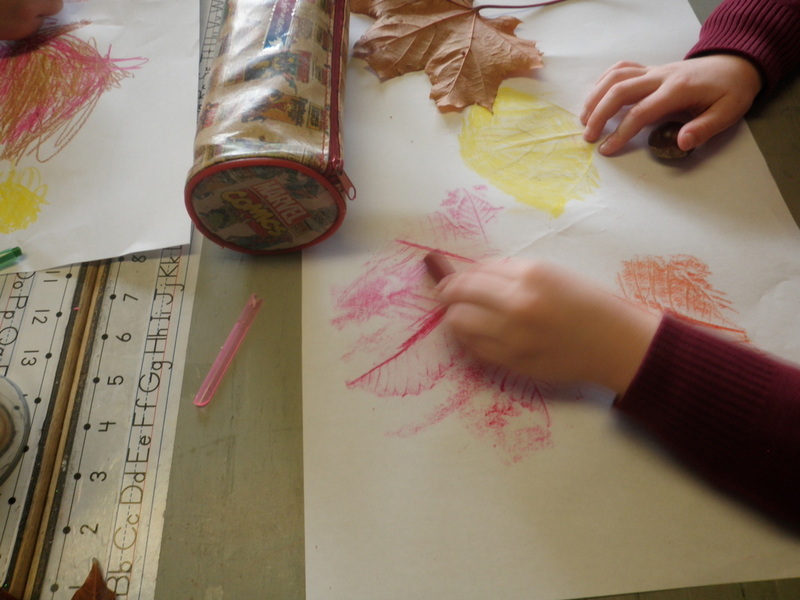 We collected Autumn leaves, conkers, fir cones and sycamore seeds for our nature table. 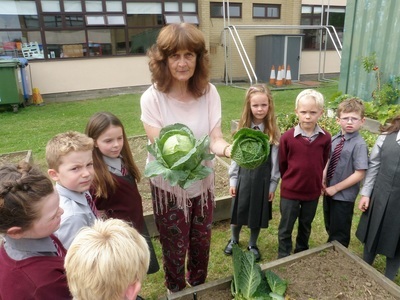 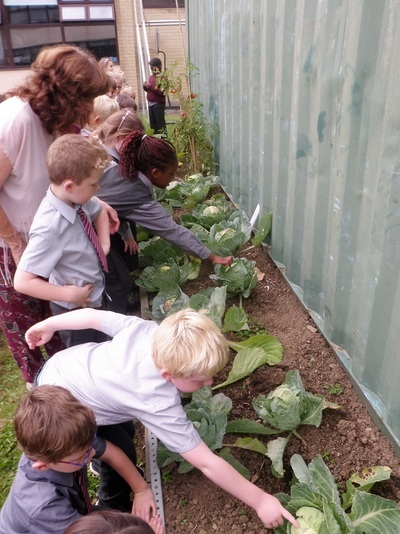 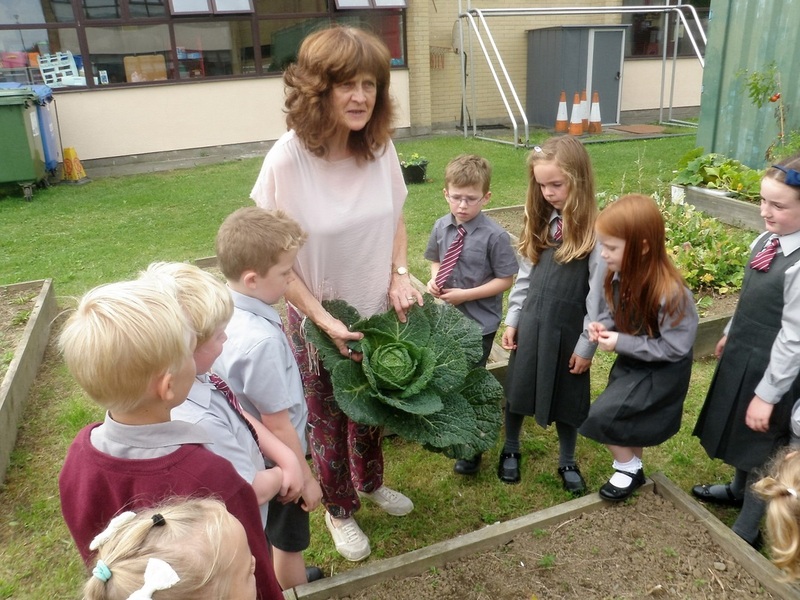 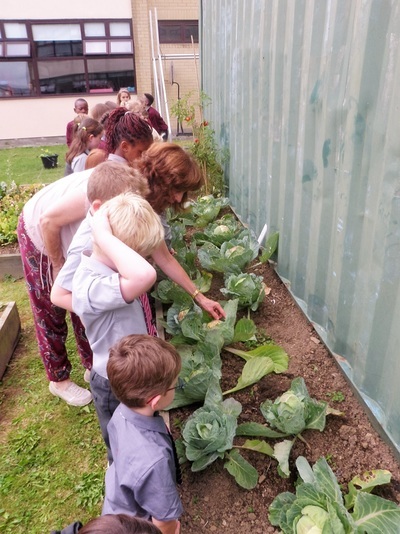 We harvested our cabbages that we planted in Senior Infants. 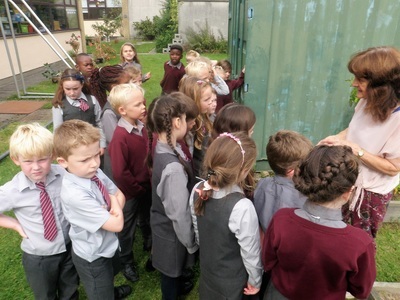 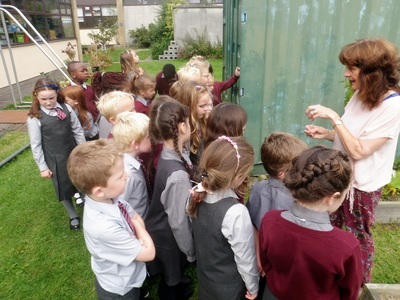 Mrs. Daly called in to tell us all about the other plants and vegtables that were growing in the garden too. 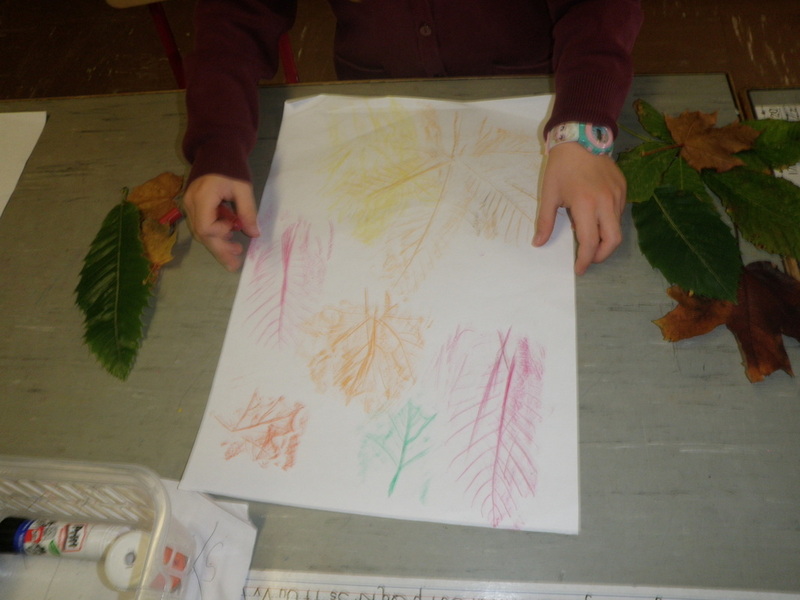 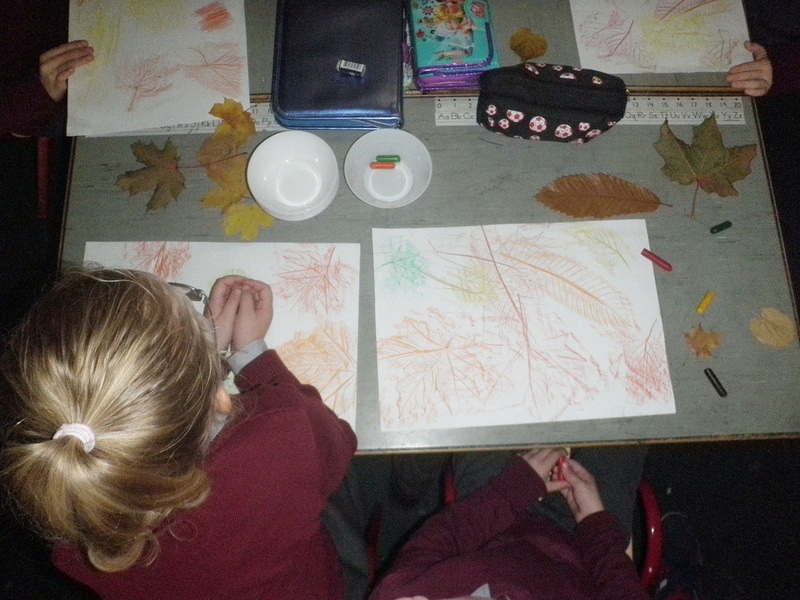 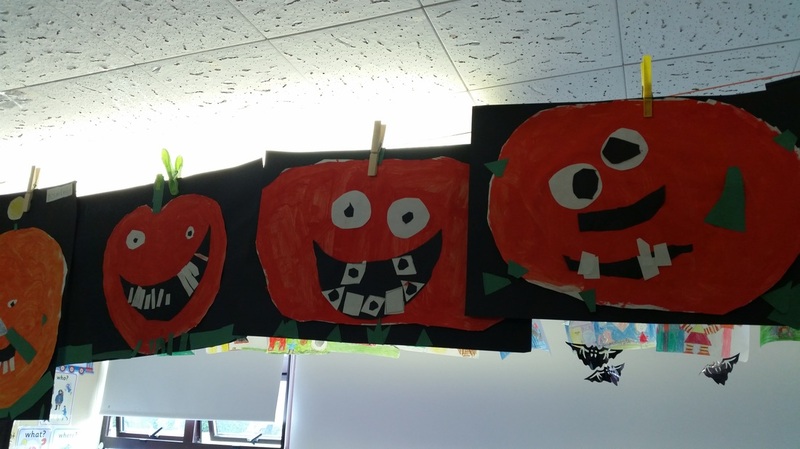 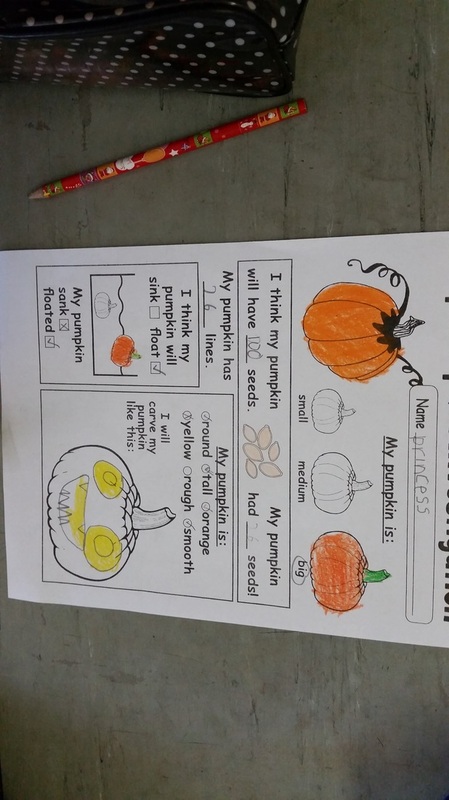 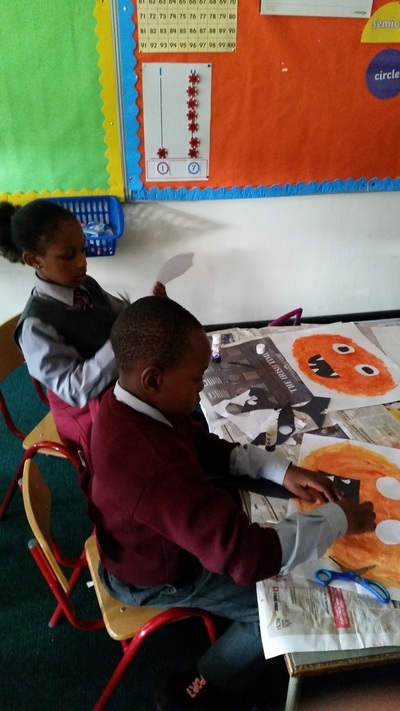 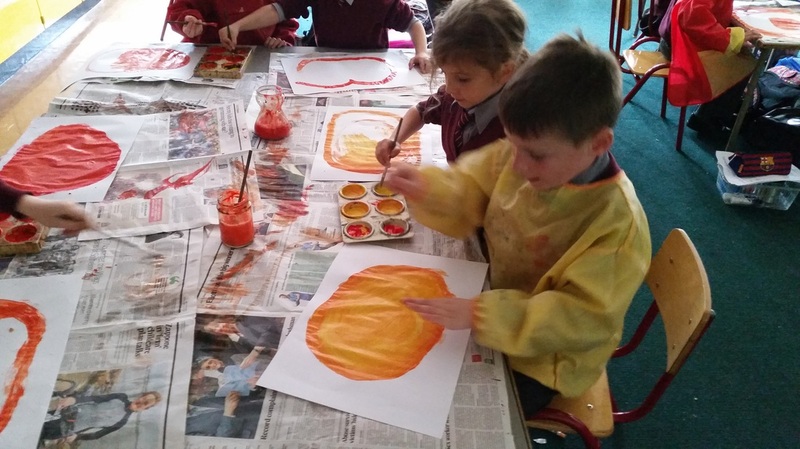 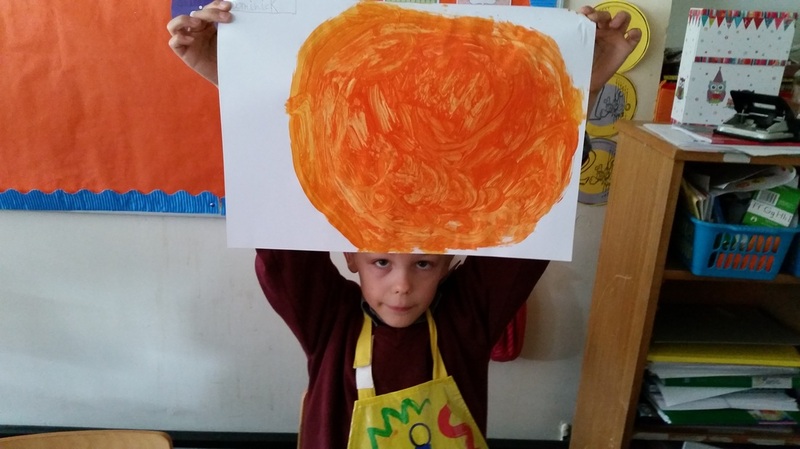 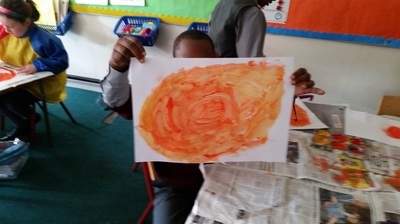 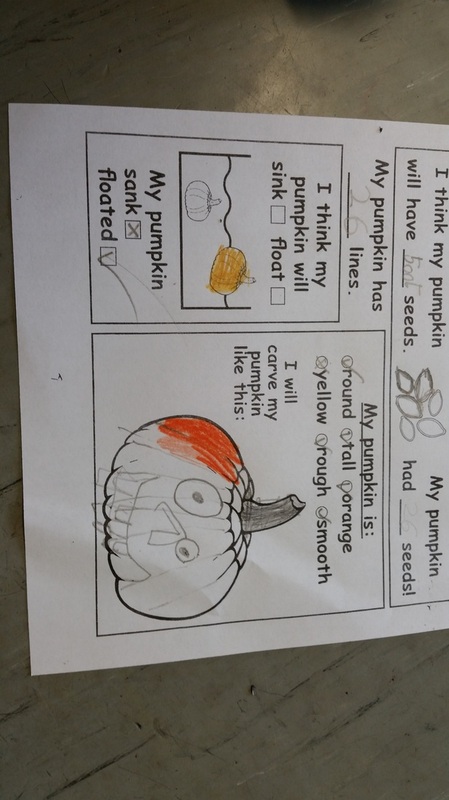 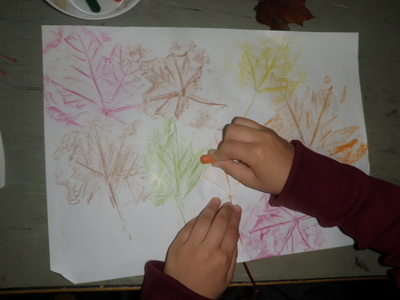 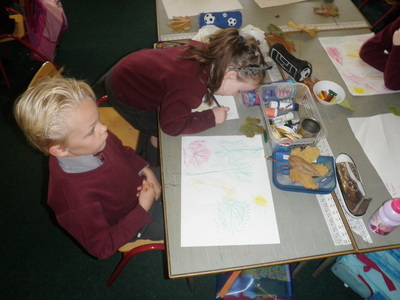 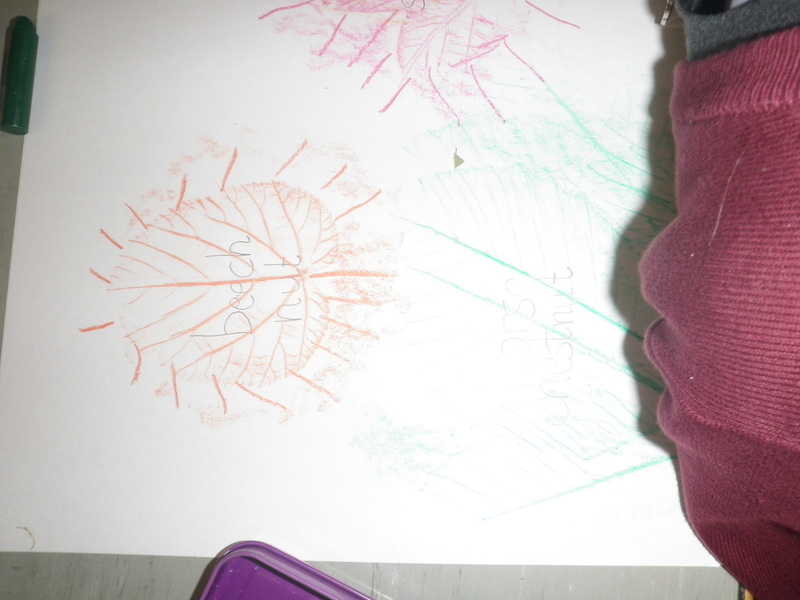 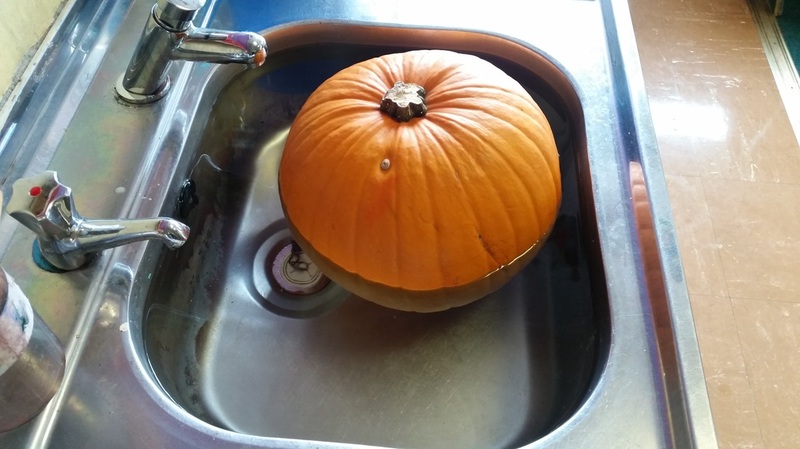 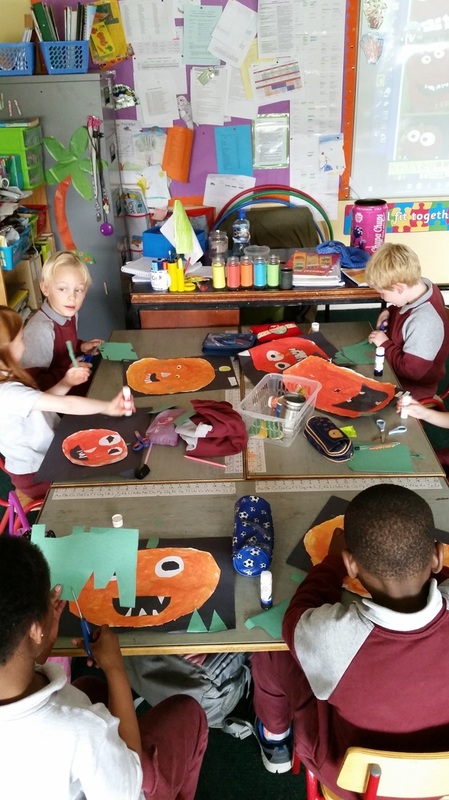 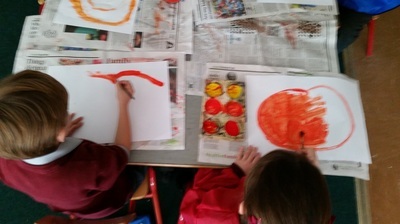 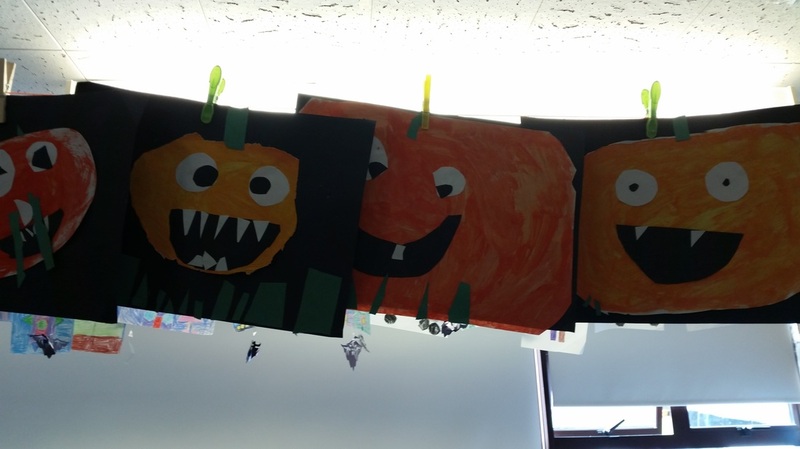 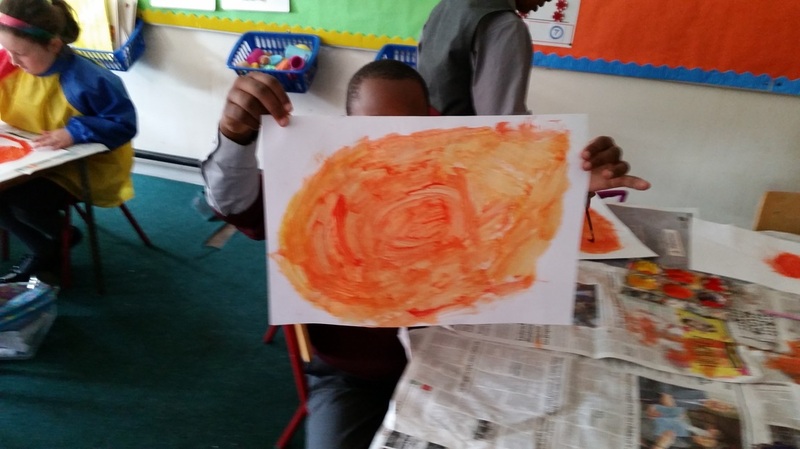 We've been busy learning about all the signs of Autumn. 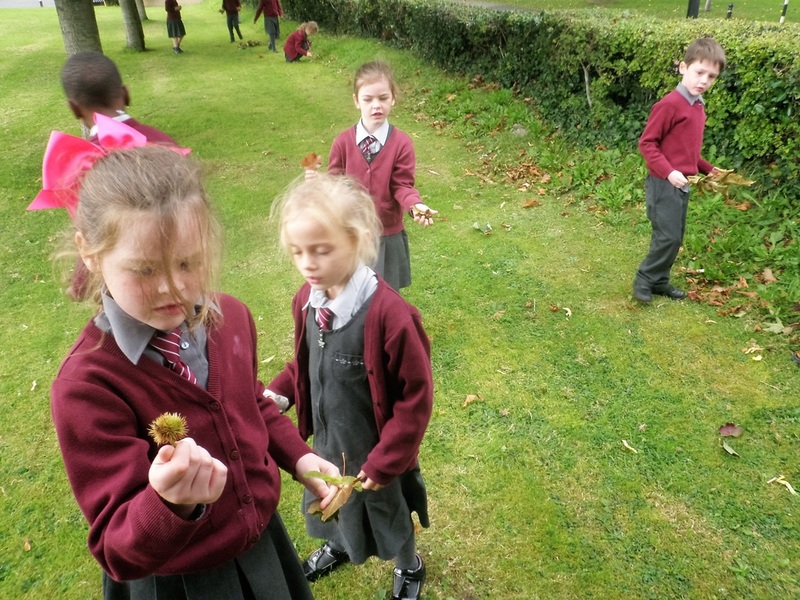 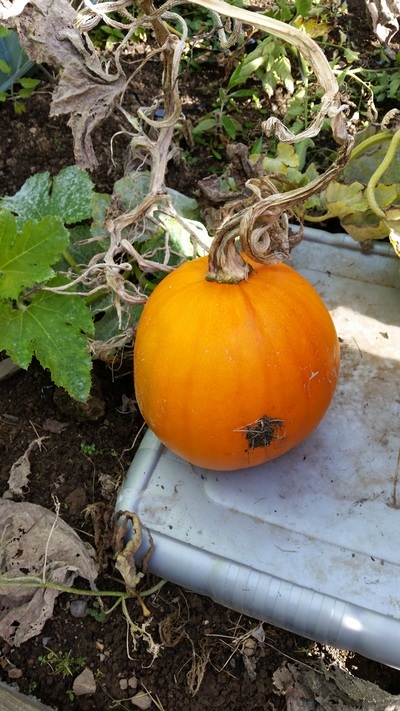 Some leaves change colour and fall from the trees, animals like the hedgehog and squirrel hibernate for the Winter, the weather is becoming colder, fruits and nuts are ripe and ready to be harvested. 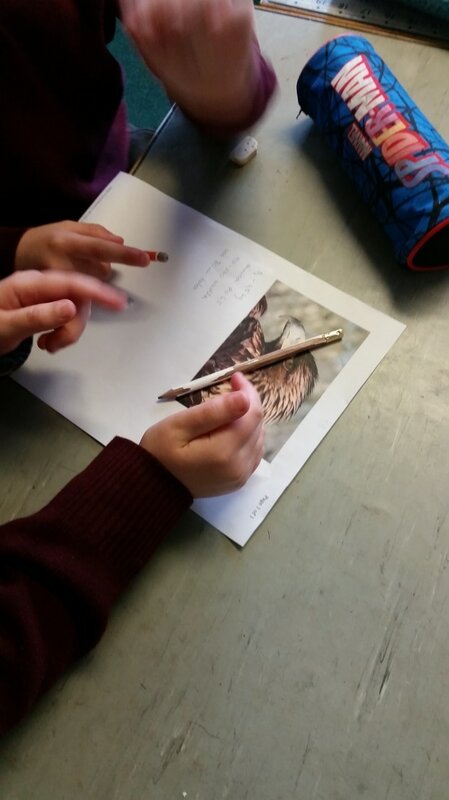 We have learned all about the hedgehog and wrote some of our favourite facts. Did you know a baby hedgehog is called a hoglet? 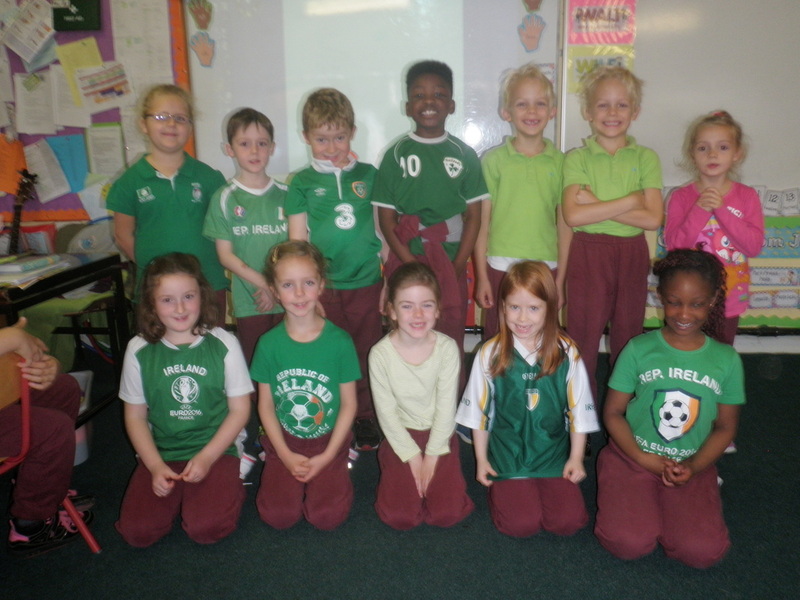 Friday 14th of October was Jersey Day. 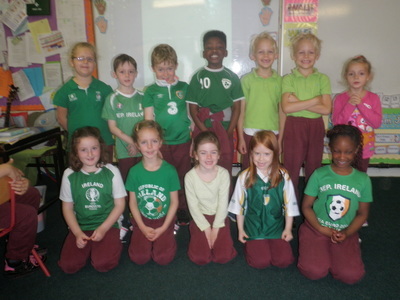 We wore our favourite team colours and jerseys and collected money for the charity GOAL. 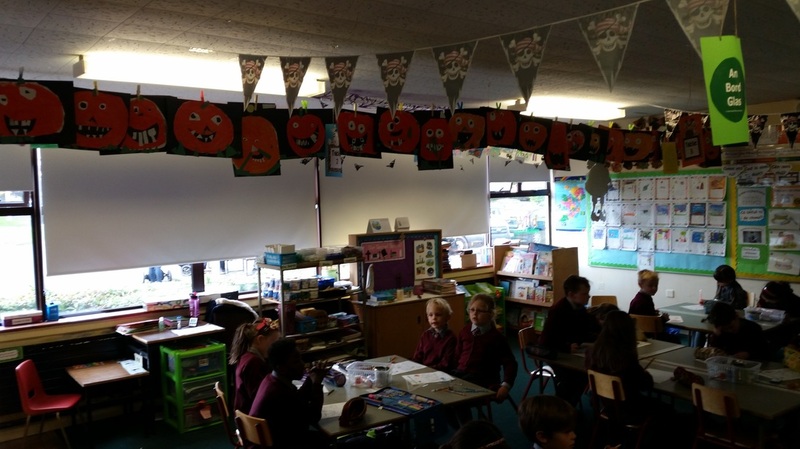 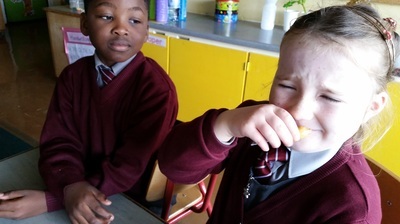 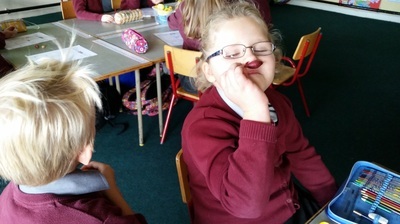 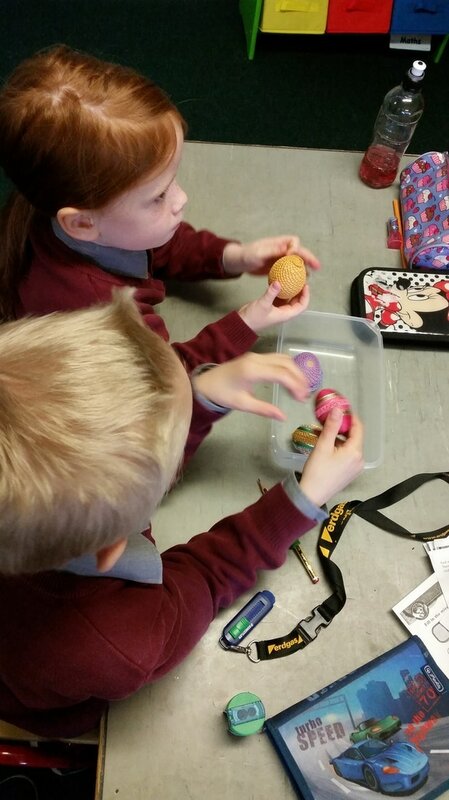 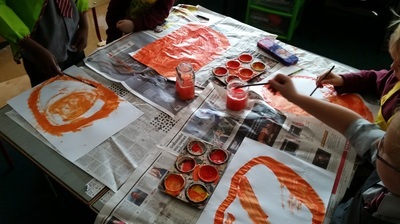 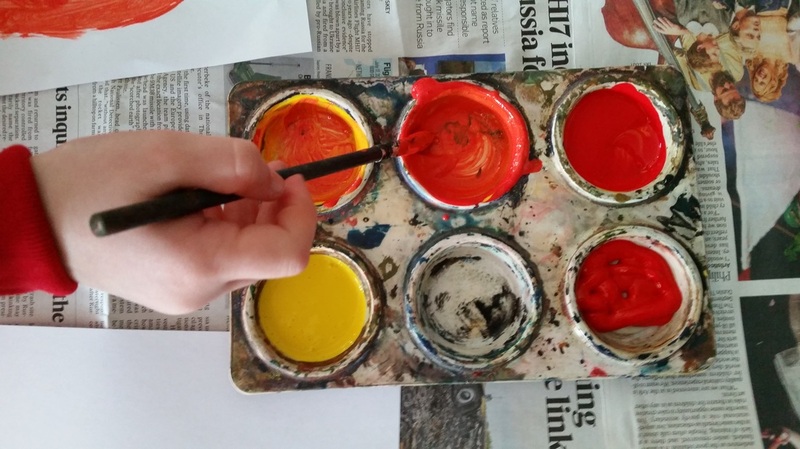 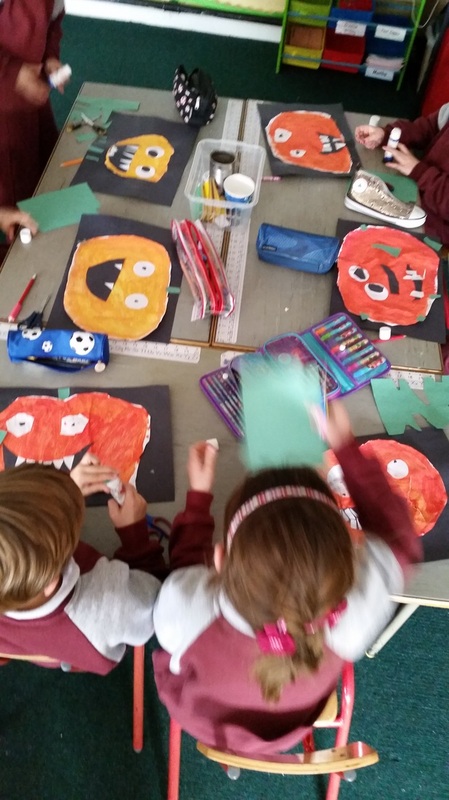 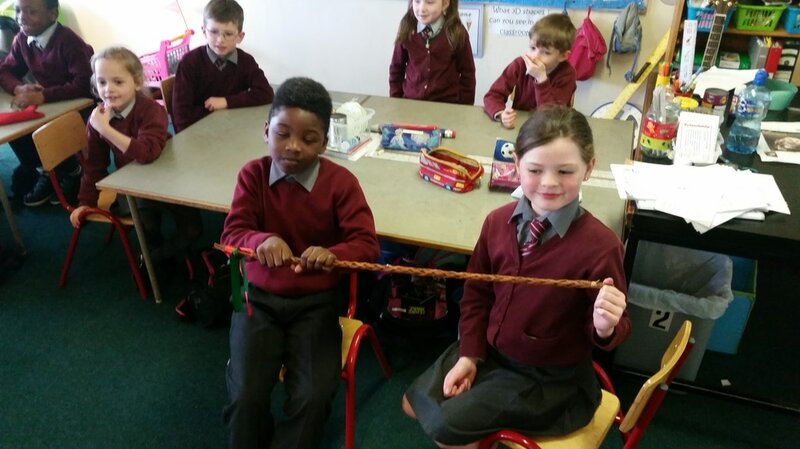 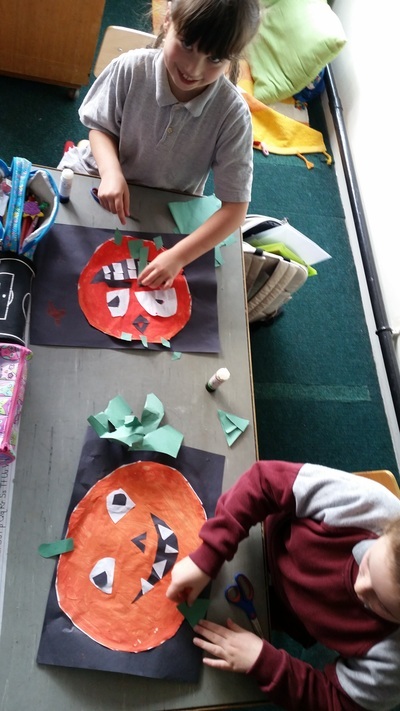 Our class raised €48! 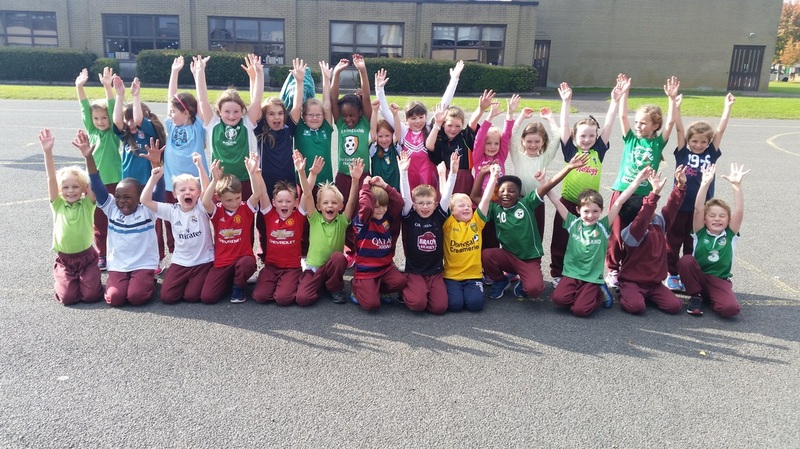 We had jerseys and t-shirts supporting Ireland, Dublin, Manchester United, Kildare, Real Madrid, Donegal, Italy, Barcalona, Russia, Croatia and Cúl Camps!! 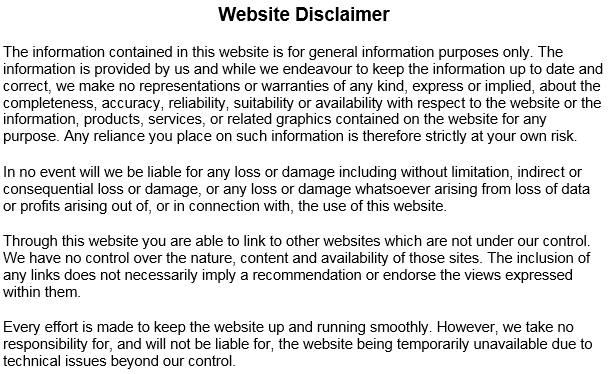 Can you spot them all below? 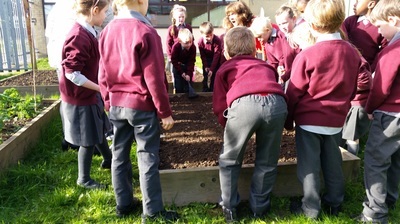 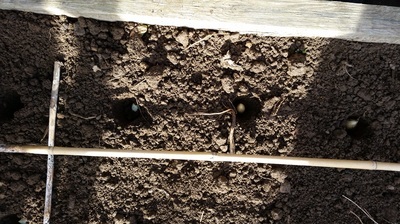 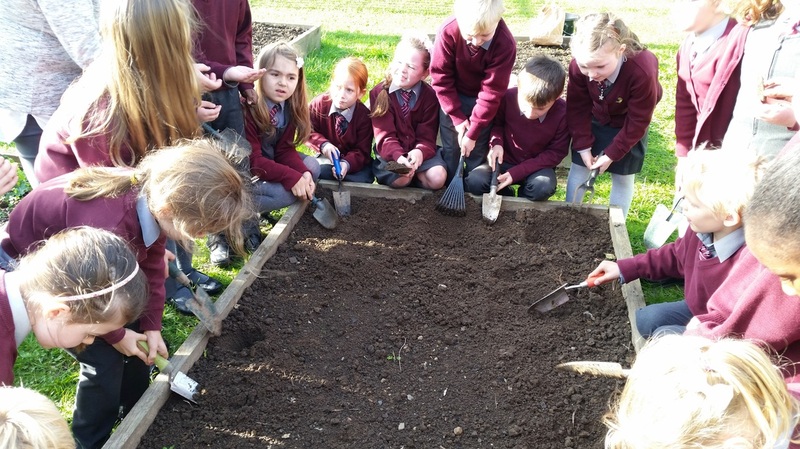 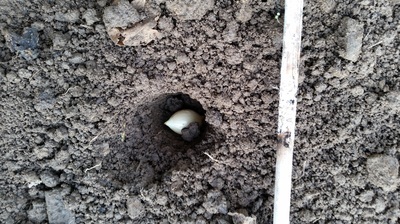 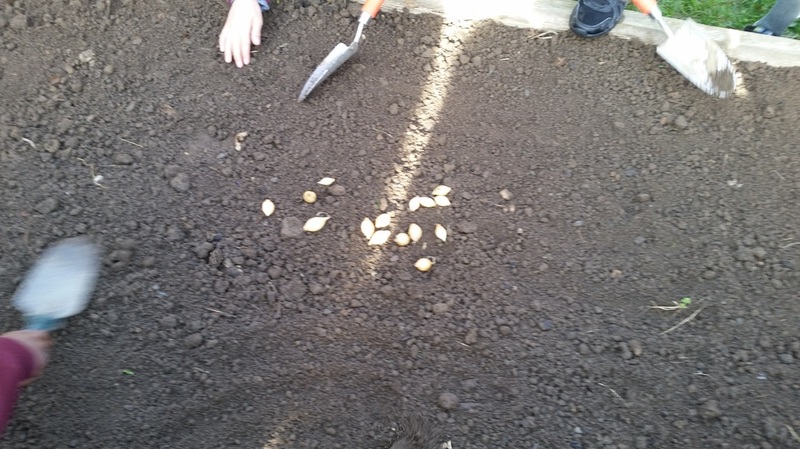 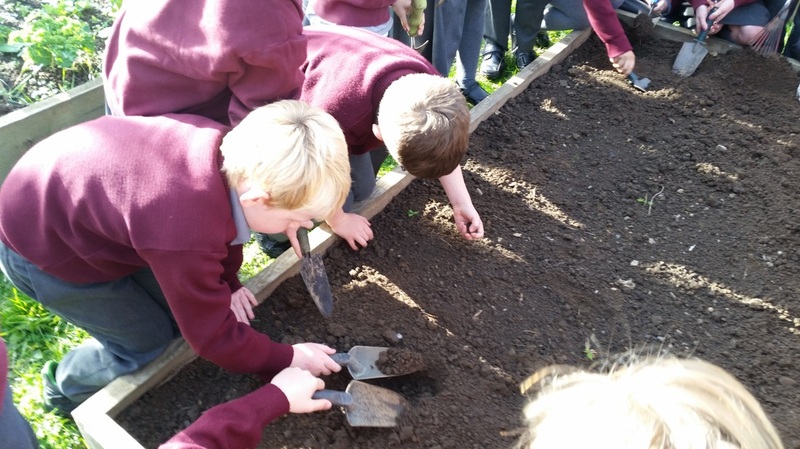 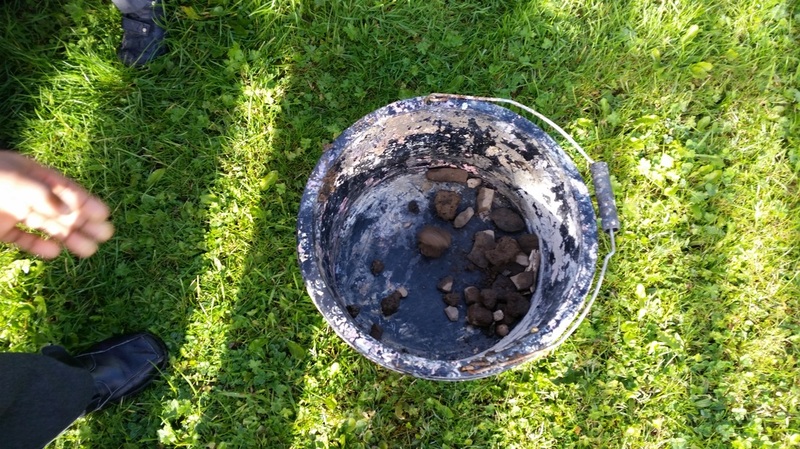 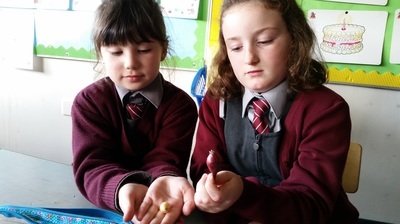 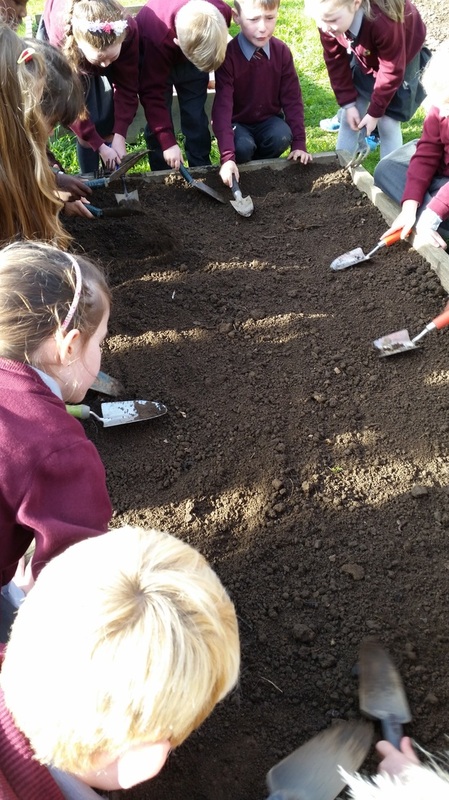 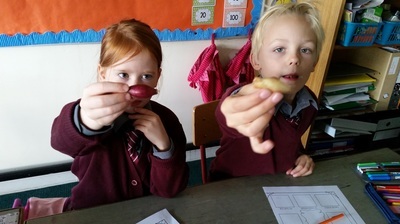 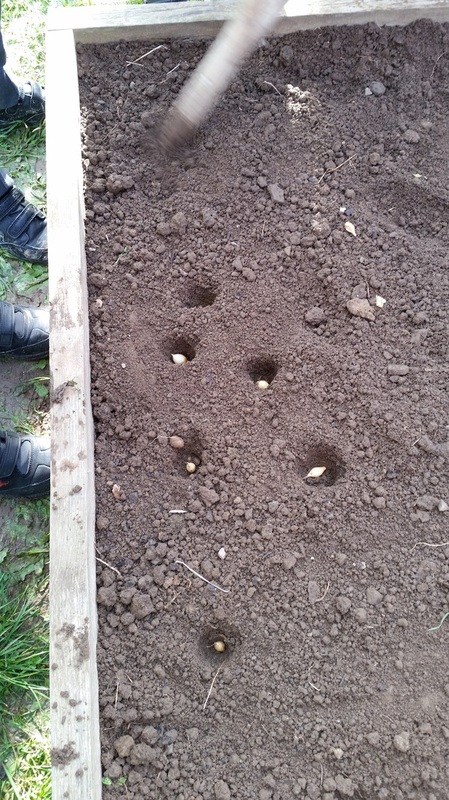 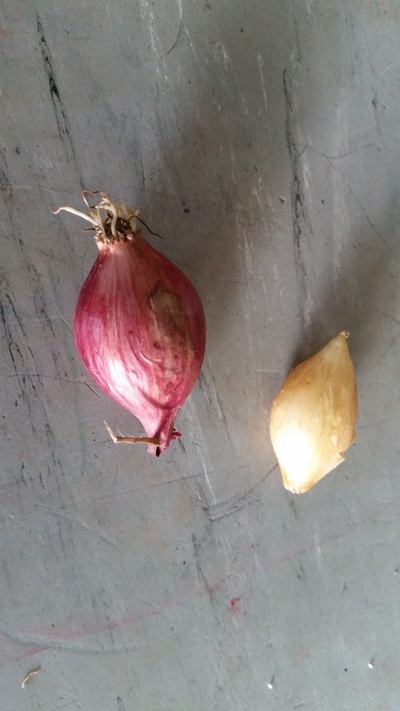 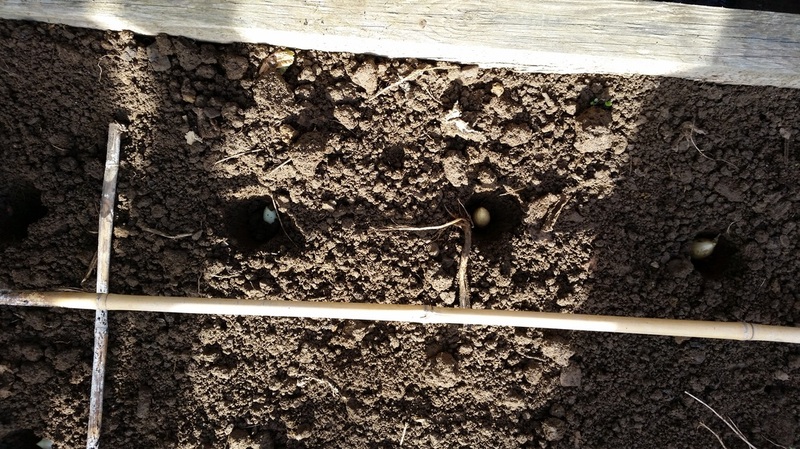 We planted red and white onion bulbs in the school garden. We will keep a close eye on them over the Winter and see how they grow and develop.